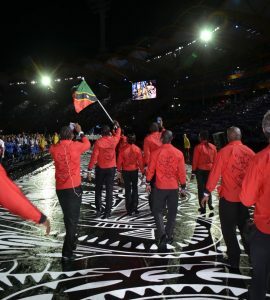 Basseterre, St. Kitts: April 4, 2018: – The St. Kitts and Nevis Olympic Committee (SKNOC) is proud to announce that the full roster of Team SKN athletes have arrived in Australia for the 21st Gold Coast Commonwealth Games and have taken part in the official welcome and flag raising ceremony at the Athletes Village. 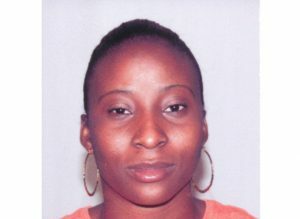 SKN Beach Volleyball Player, St. Clair Hodge was selected to carry the National Flag of the Federation of St. Kitts and Nevis at Wednesday night’s glittering opening ceremony which was watched by a global audience of close to 1.5 billion viewers. 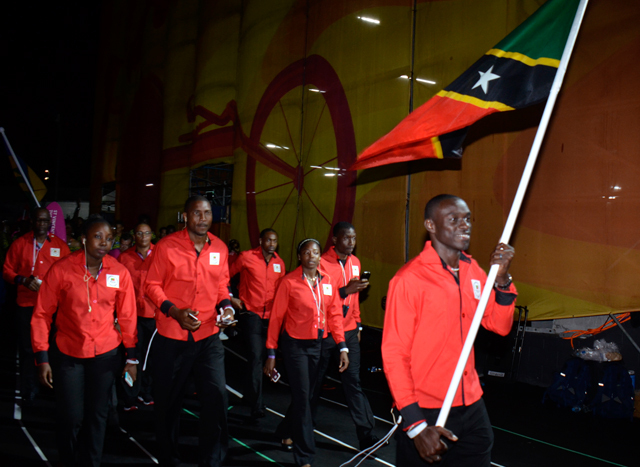 Team SKN will be competing in three sporting disciplines which include Table Tennis, Track & Field and, for the first time ever, the game of Beach Volleyball. Among the line-up, beach volleyball stars St. Clair Hodge and Shawn Seabrookes will make history on Coolangatta Beachfront as the first players to represent the Federation at competition level playing against Trinidad and Tobago, Fiji and host country, Australia in the preliminary rounds. 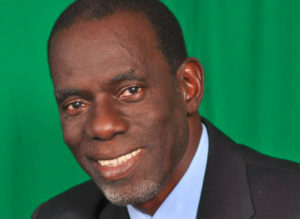 The Management and support team that will accompany the athletes have been named as Mr. Lester Hanley, who will serve as Chef de Mission and leader of the delegation and Mr Leroy Greene, General Manager. Additional members of the Team include Dr. David Steven as Team Medical Official/Chiropractor and Dennis Knight as Team Attache.